Rabbi Geoffrey A. Mitelman is the Founding Director of Sinai and Synapses, an organization that bridges the scientific and religious worlds, and is being incubated at Clal – The National Jewish Center for Learning and Leadership. His work has been supported by the John Templeton Foundation, Emanuel J. Friedman Philanthropies, and the Lucius N. Littauer Foundation, and his writings about the intersection of religion and science have appeared on the homepages of several sites, including The Huffington Post, Nautilus, Science and Religion Today, Jewish Telegraphic Agency, and My Jewish Learning. He has been an adjunct professor at both the Hebrew Union College – Jewish Institute of Religion and the Academy for Jewish Religion, and is a sought-out teacher, presenter, and scholar-in-residence throughout the country. He was ordained by the Hebrew Union College-Jewish Institute of Religion, where he received the Cora Kahn Prize from the Cincinnati faculty for the most outstanding sermon delivery and oratory. An alumnus of Princeton University, he received multiple prizes for outstanding scholarship in Biblical and Judaic studies. He was selected to be a member of the first cohort of Clal’s prestigious Rabbis Without Borders fellowship, a national program that seeks to position rabbis as American religious leaders and spiritual innovators who contribute Jewish wisdom to the American spiritual landscape. Additionally, he was chosen to be in the first group of the Balfour Brickner Rabbinic Fellowship, a a joint program with Clal and the Religious Action Center of Reform Judaism that aims to integrate Jewish textual tradition with modern social and political issues. He is on the advisory board of several organizations, including the 92nd St. Y’s “7 Days of Genius” Festival, as well as the URJ’s 6-Points Sci-Tech Academy. 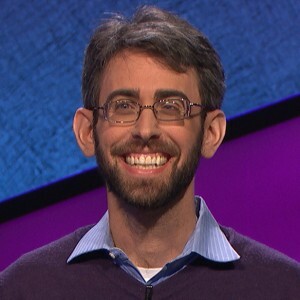 For seven years, he served as Assistant and then Associate Rabbi of Temple Beth El of Northern Westchester, and appeared on Jeopardy! in March 2016. He lives in Westchester County with his wife Heather Stoltz, a fiber artist, with their daughter and son. A conversation between Joshua Holo and Rabbi Geoffrey Mitelman on Truths, Untruths and the Problem of Perspective. Maimonides had many forward-looking insights about intuitive psychology, some of which we are only beginning to appreciate today. Those who “know” and “care” can’t seem to understand why others don’t. But invoking guilt and disappointment is not the way to communicate it. What would happen if we took Unetaneh Tokef literally, and truly ask the questions it poses? We talked to Sinai and Synapses fellowship alum Sara Gottlieb about her research on awe, which has been published in the journal Cognitive Science.